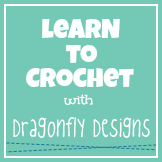 Have you been following our learn to crochet series on the blog? 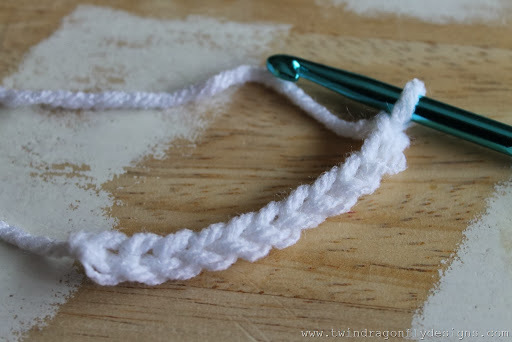 This chain will give us the foundation for ten single crochet stitches. 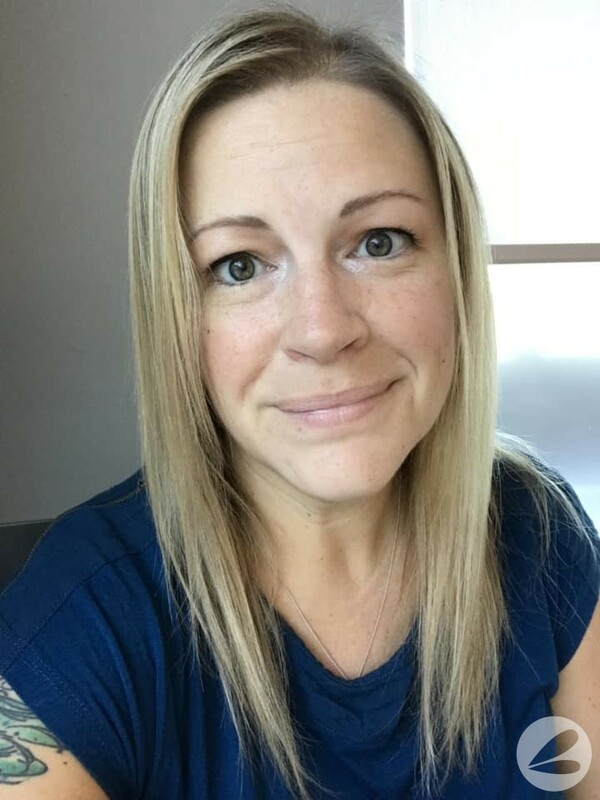 Often starting off a project can be the most challenging part. 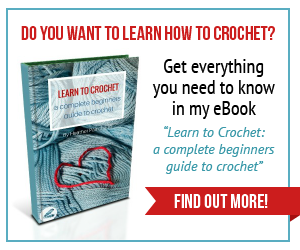 It’s important to know where each stitch is. In this photo each “hill” or “bump” along the top of the chain is a stitch. 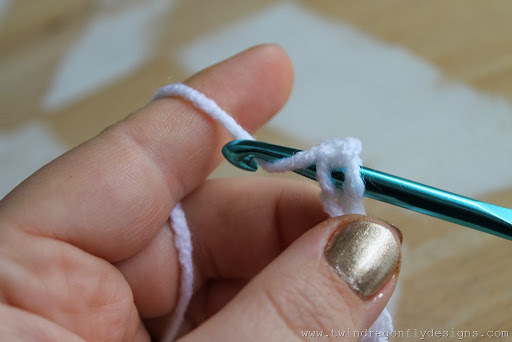 To begin your first stitch you skip the chain stitch that is closest to the hook. 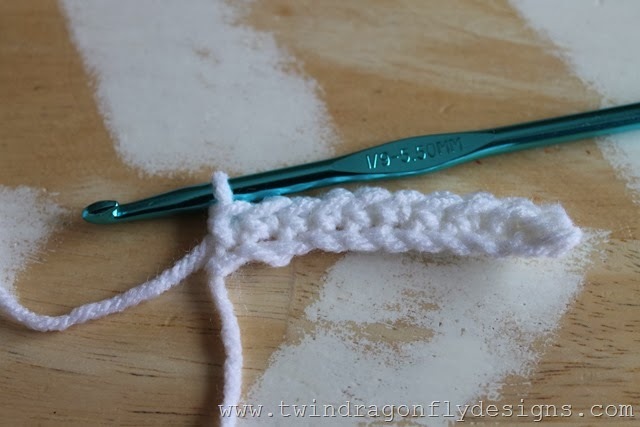 The skipped stitch gives the height that you need for your first single crochet stitch. 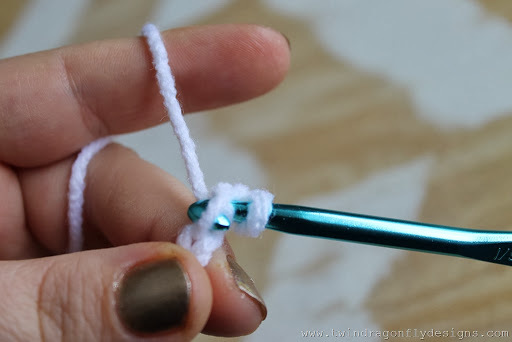 Poke the hook through the second stitch from your hook. 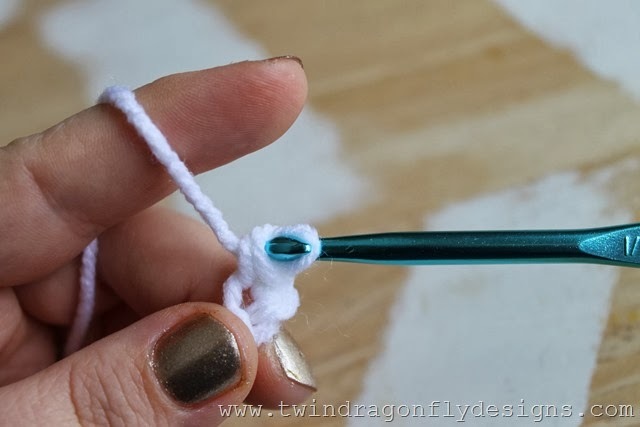 Pull the yarn back through the chain stitch. Now you should have two loops on your hook. We are not done yet. 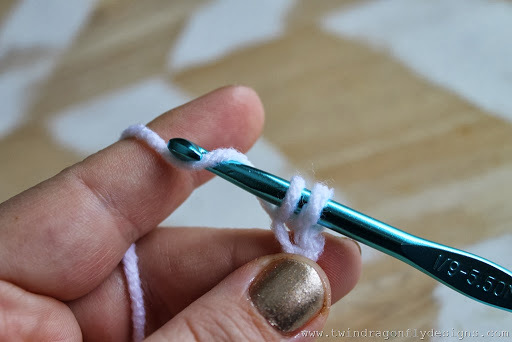 You always want to end up with only one loop of yarn on your hook. Pull through the two loops. 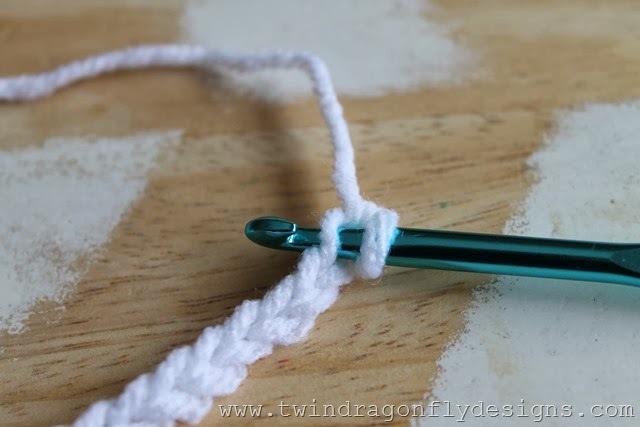 Repeat these steps down the length of the chain so that you have ten single crochet stitches. In class we have a little ditty that we like to remember. Poke, yarn over, pull through, yarn over, pull through two. 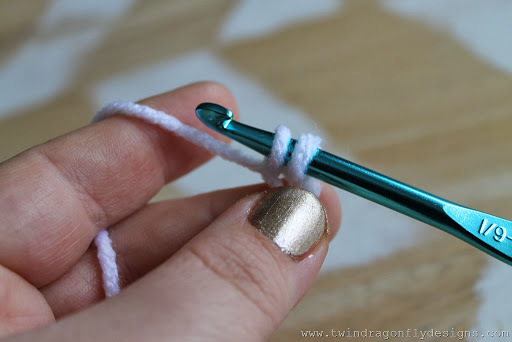 Check out the video, it might help to see this stitch in action.